Native Home Remedies; Kanwa Minerals Powder/ Tablets for Stomach Pain, Ulcers, and Poor Digestion now available at Mountain High Health Foods, in Cody, WY. Home Remedies may serve as effective natural treatment for Ulcers. 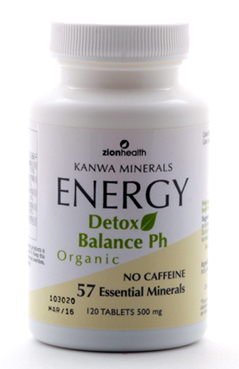 Today, Zion Health announced the availability of Kanwa Energy Powder and Detox Tablets at Pioneer Health Foods located at 1914 17th St., in Cody, Wyoming. The active ingredient in Kanwa is Calcium Montmorillonite Clay, known for its ability to detoxify the body from ailments that are related to stomach pain, ulcers, diarrhea, colitis and poor digestion. Kanwa clay contains a unique molecular structure that gives it a high absorption rate which is an important feature in helping detoxify the body. Edible Kanwa Clay contains 57 minerals that are needed to support metabolic functions. Kanwa is a form of bentonite clay which is commonly sold in health food stores for its ability to detoxify and absorb metals, harmful bacteria, food poisoning, and chemicals. Holistic Practitioners commonly prescribe Kanwa as a natural whole body detox treatment and as a useful preventative aid for travelers illness. Indigenous cultures of Africa and the New World have been using clay as a folk remedy for stomach pain, ulcers, skin reactions, wounds and other maladies long before history was recorded. Clay was commonly used by Native American tribes to speed the healing of wounds and served as a skin protector from the harsh environment. African tribes used clay for cleansing and detoxifying contaminated food and water. 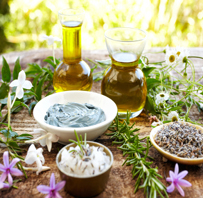 Clay served as a popular natural treatment for the skin and internal body and is still commonly used throughout the world for its natural detoxifying properties. In a study published by the American Journal of Clinical Nutrition, laboratory rats and chimpanzees voluntarily ate clay in response to gastrointestinal problems induced by poisoning after eating foods laced with toxins. The article claimed that clay could adsorb dietary toxins, bacterial toxins associated with gastrointestinal disturbance, high acidic particles and metabolic toxins. 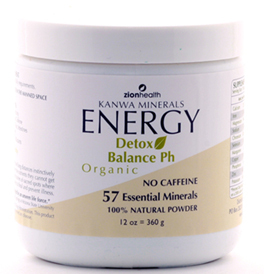 Zion Health’s Kanwa Minerals Energy Powder and Tablets are available at select health food stores including Pioneer Health Foods, located at 1914 17th St. in Cody, Wyoming and online at http://www.kanwaminerals.com. Zion Health provides consumers with pure skin and body care products that are 100% vegan, free of parabens, aluminum, sulfates and are formulated using certified organic ingredients whenever possible. For more information on Zion Health products, go to: http://www.zionhealth.net.